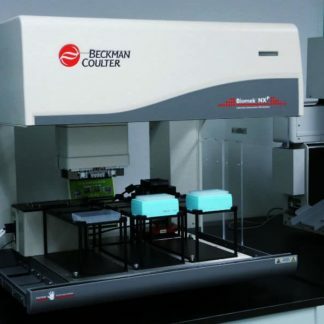 The Beckman Coulter Biomek FXp automated workstation provides the speed and performance critical to for lab automation in today’s research environments. 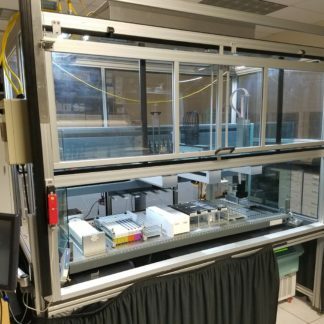 This flexible liquid handling platform is available in single and dual pipetting head models. 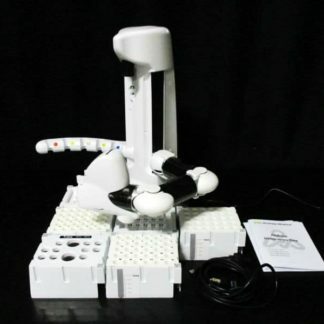 Add any combination of multi-channel 96-tip or 384-tip dispense heads and/or the Span 8 pipetting arm with 8 independent channels. 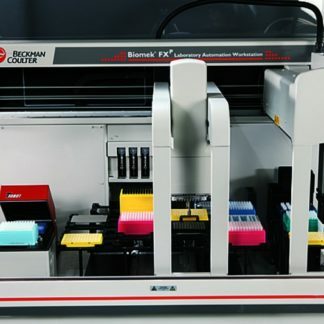 Ideal for high throughput workflows, the Beckman Biomek FXp accelerates laboratory processing and is easy to update or integrate with other devices as your research needs evolve. The Beckman Biomek-series automated workstations feature easy-to-use, icon-driven software and a library of ready-to-run methods. 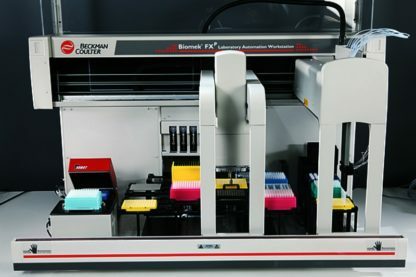 Choose from a wide range of components to build a Biomek FXp to your specifications, creating the optimal liquid handling solution for your workflow. 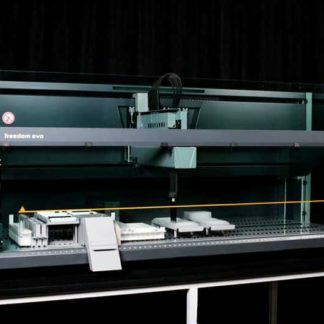 Precise pipetting from 1 μl – 1000 μl for a wide range of applications in genomics, proteomics, analytical chemistry, cell-based assays, and more. Light curtain pauses instrument operations if a foreign object enters the work area without the loss of data upon restarting a workflow. 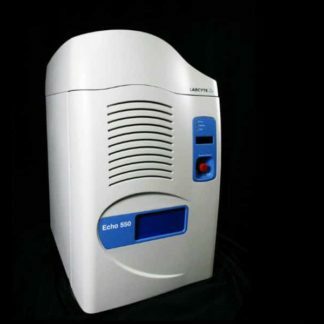 Provides safety without a cumbersome enclosure. 90-Day Complete Parts & Labor Warranty in the U.S.